ETC Instructors and Students have started a drive to gather items that are needed by victims of recent storms in North Georgia. Although the storms and much of the intense media coverage have faded, there is still heartbreaking need. There are many places and ways to give, but if you find it more convenient or would just like to donate through your Training Center, please feel free to drop your donation by the Training Center. 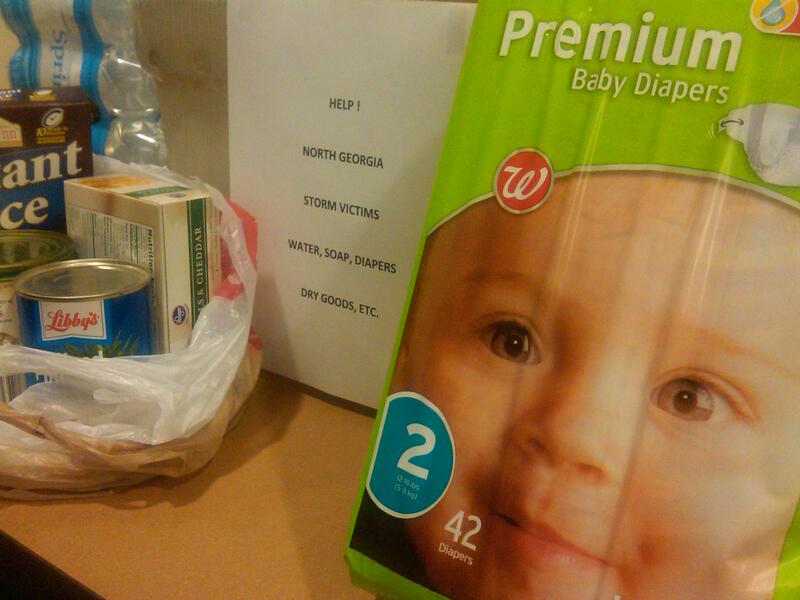 We’re looking for things such as bottled water, soap, diapers, any kind of dry goods, etc. If you would like specific information on how the donations are to be distributed or would like to confirm the best day/time to drop off your donation, please contact ETC Instructor Jim Lord at jlord@aejatc.org or 770 307 7027.